The Coral Ecosystem Connectivity 2013 expedition from Pulley Ridge to the Florida Keys was funded by NOAA’s National Centers for Coastal Ocean Science and Office of Ocean Exploration and Research in partnership with NOAA’s Office of National Marine Sanctuaries, National Marine Fisheries Service’s Southeast Regional Office, and Gulf of Mexico Regional Collaboration Team. 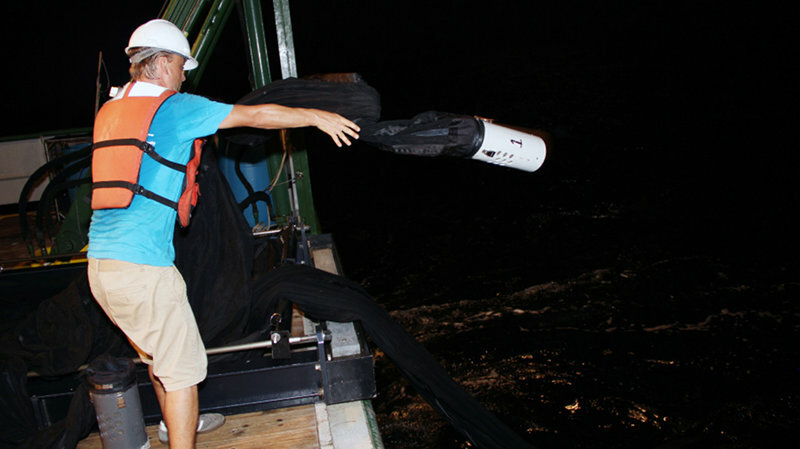 The project was led by the University of Miami, and represents a collaboration of over 35 scientists at eleven different universities pooling their expertise with state and federal agency scientists through NOAA’s Cooperative Institute for Marine and Atmospheric Studies at the University of Miami in coordination with the Cooperative Institute for Ocean Exploration, Research, and Technology at Florida Atlantic University. Overall, we had a very successful cruise and were able to accomplish all of our objectives. 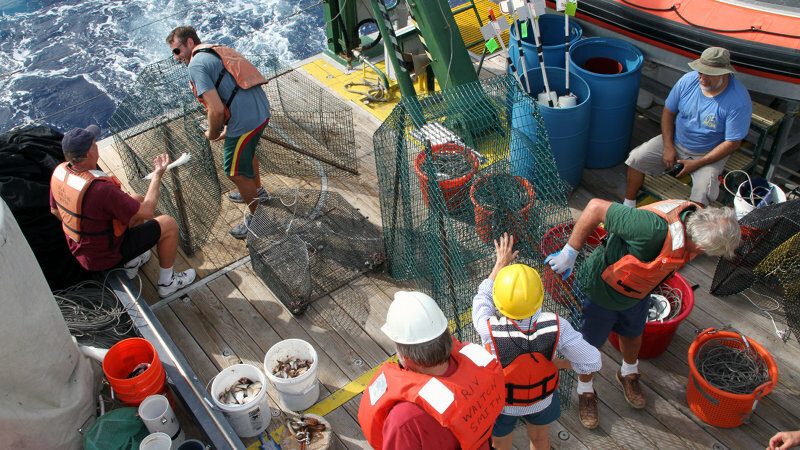 Plus, this research cruise has gotten us closer towards our ultimate goal – defining what role the reefs of Pulley Ridge may play in replenishment of key fish species, corals, and other organisms in the downstream reefs of the Dry Tortugas and Florida Keys. 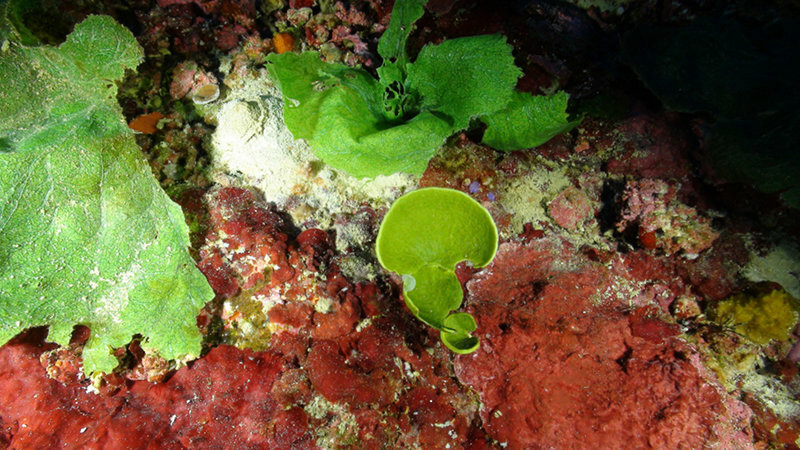 Our intent is to create a comprehensive understanding of Pulley Ridge to facilitate resource planning in the eastern Gulf of Mexico and allow resource managers to develop more effective strategies to protect these and other reefs. The large red grouper and the small reef fish are all native to the area. 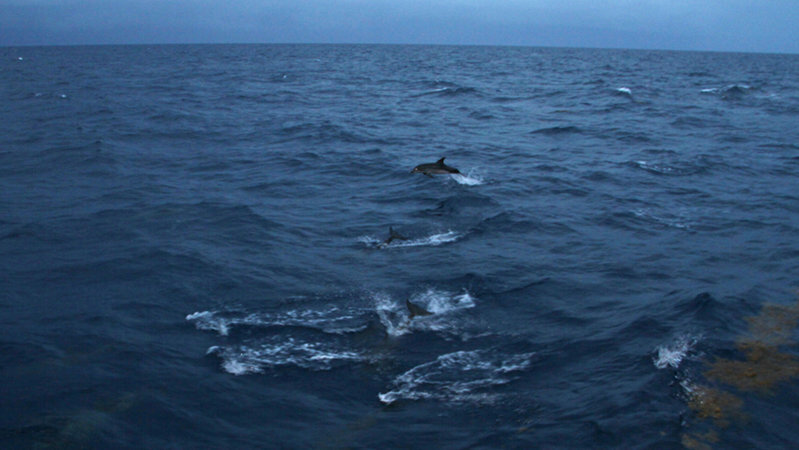 Six spotted dolphins arrived on the scene and stayed with us. A scamp grouper eyes the con’trap’tion cautiously before going inside.